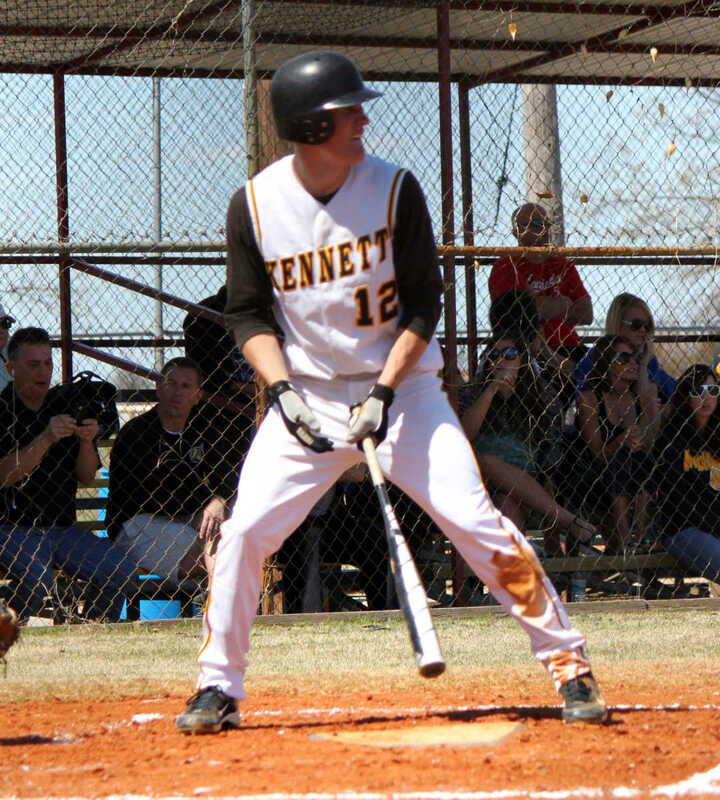 Kennett's Jon Rooney watches a foul ball head towards the crowd. 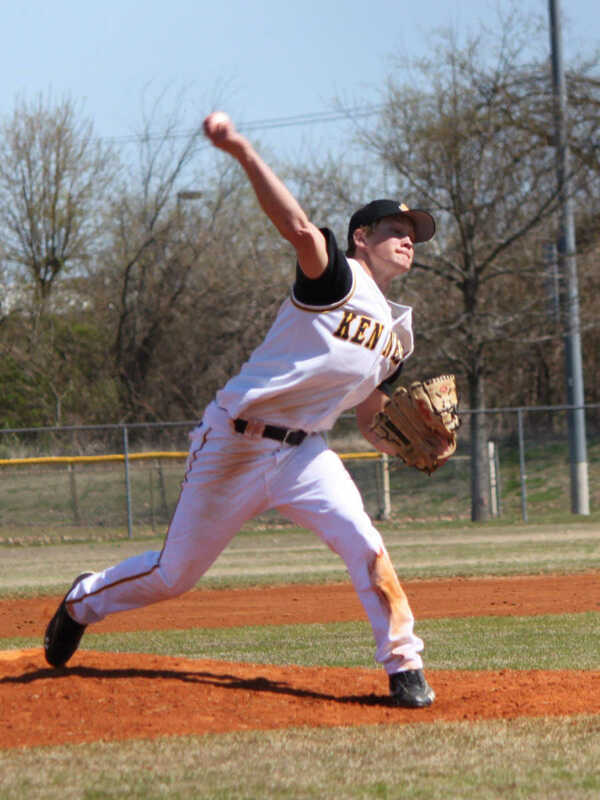 Kennett's Logan Dollins delivers a pitch to the plate. 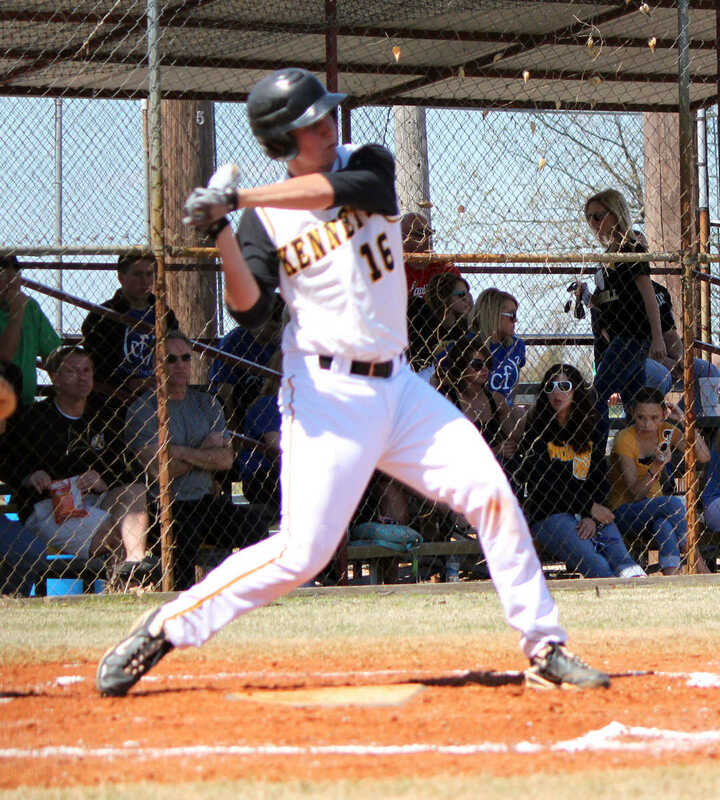 Kennett's Logan Dollins drives in his ninth run of the season. 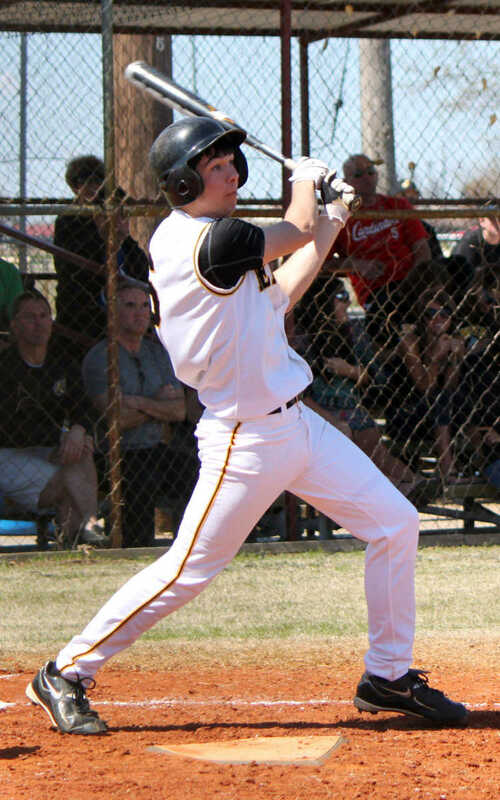 Kennett's Alex Bohnert attempts to put the bat on the ball. 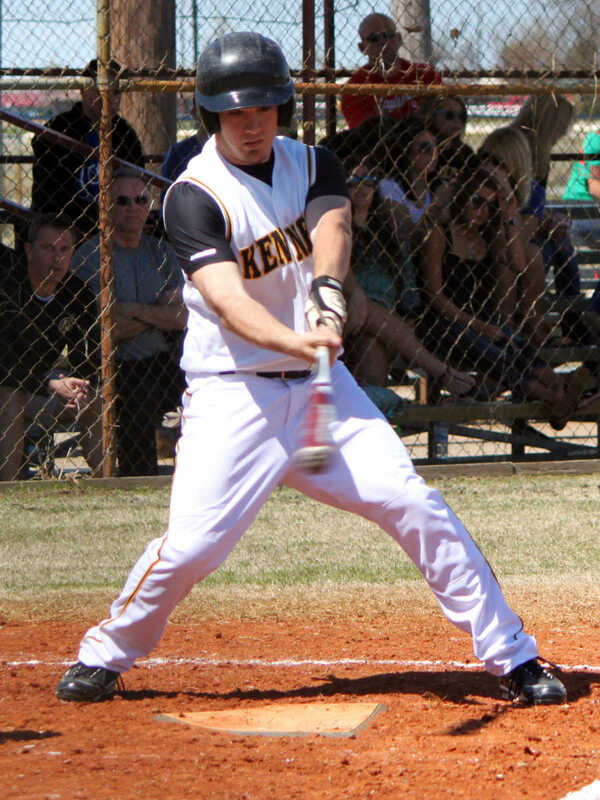 Kennett's Andy Lack steps into the batter's box. 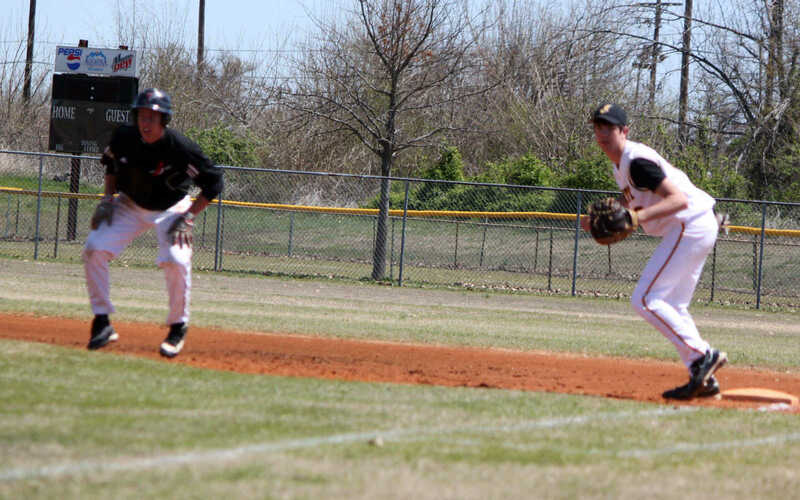 Kennett's Tyson Campbell holds a runner on at second. 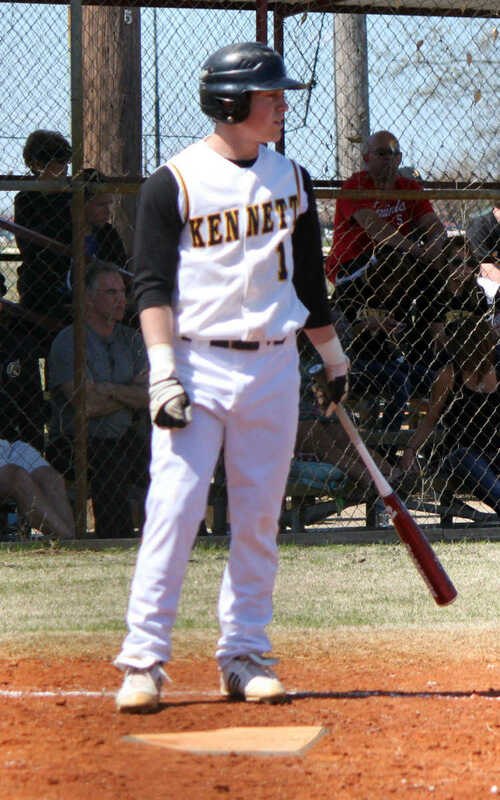 Kennett catcher Thomas Stillman on deck. 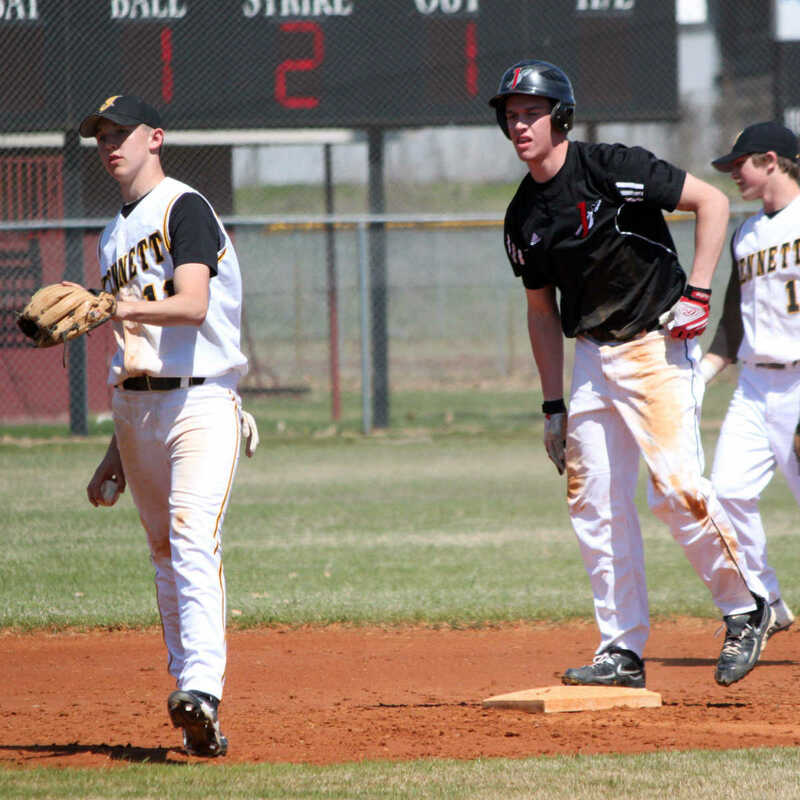 Kennett second baseman Justin Smith prepares to throw the ball back to the pitcher. 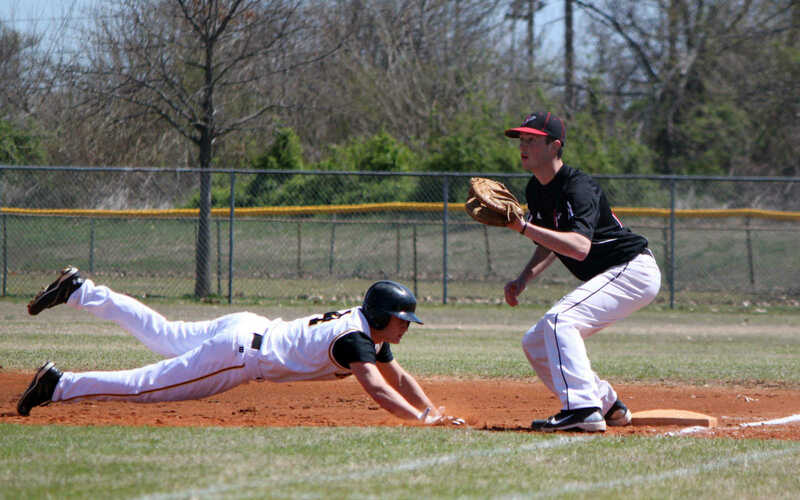 Kennett's Cameron Wallace dives back to first base. 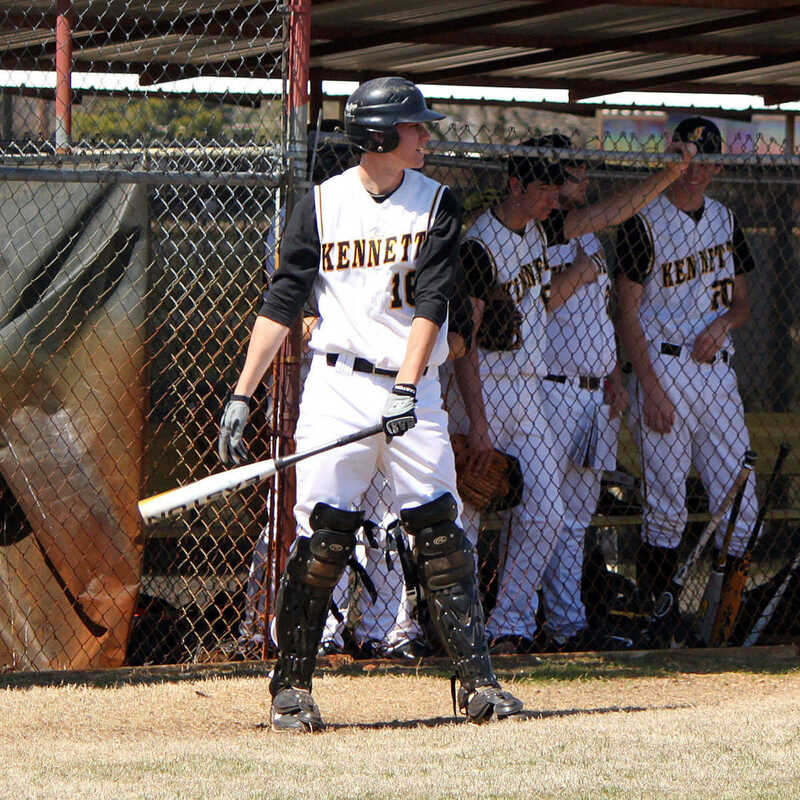 Kennett's Cameron Wallace on deck. 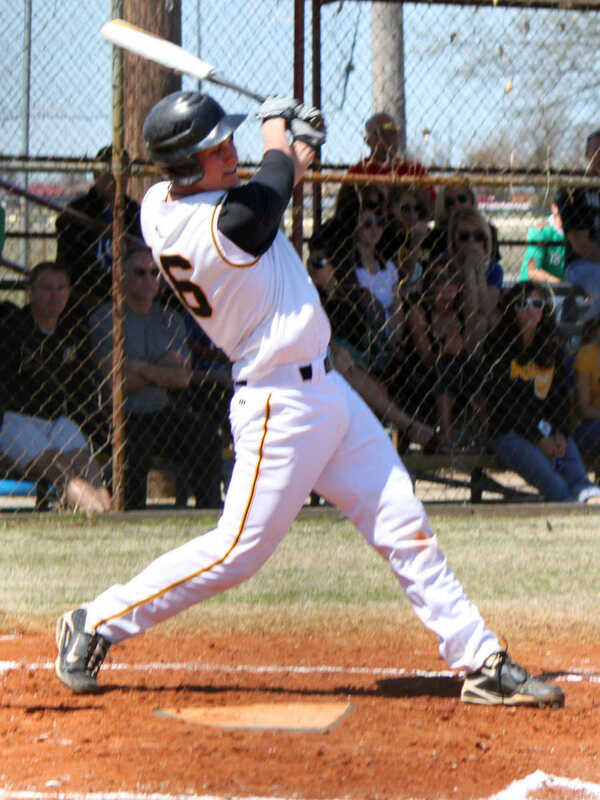 Kennett's Collin Smith at the plate. 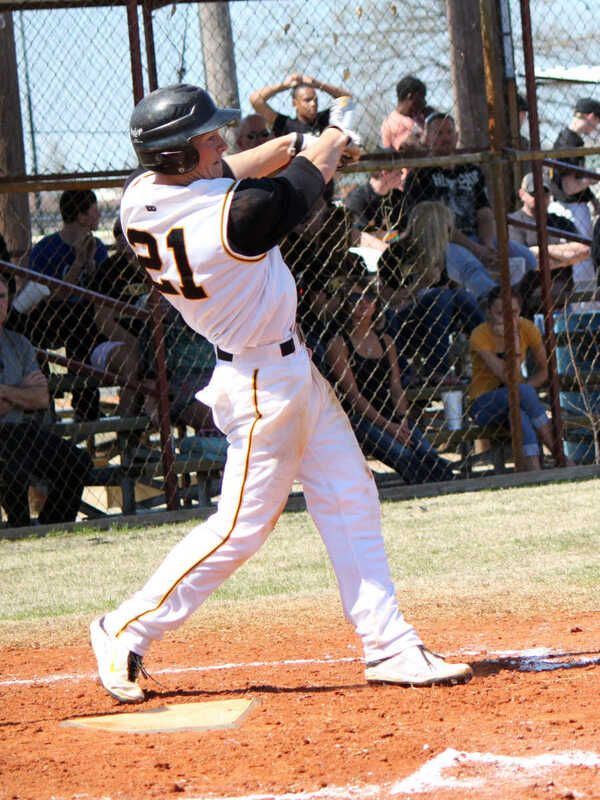 Kennett's Tyson Campbell take a swing. 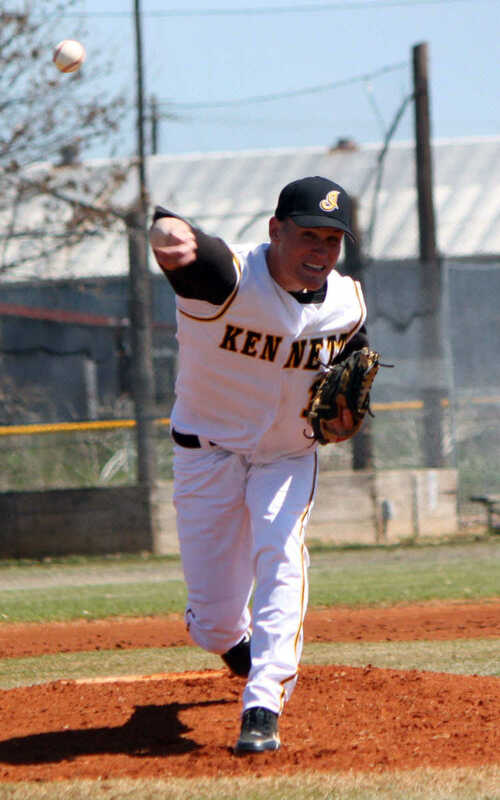 Kennett's Thomas Stillman swins at a pitch. 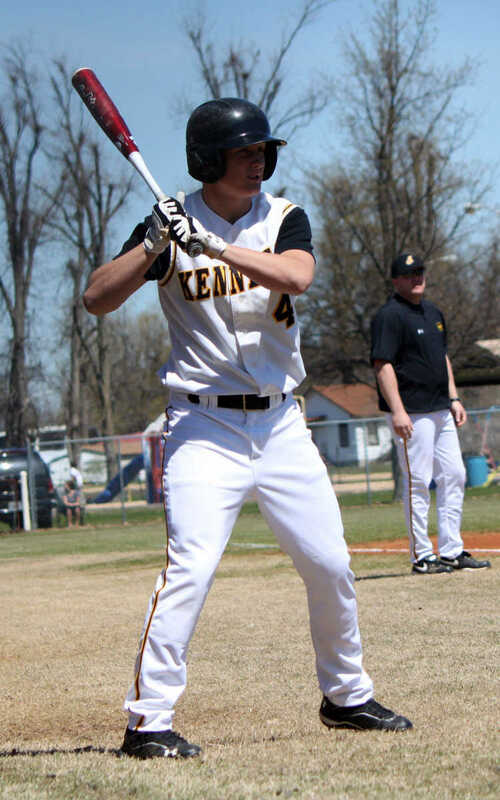 Kennett's Thomas Stillman checks his swing at the plate. 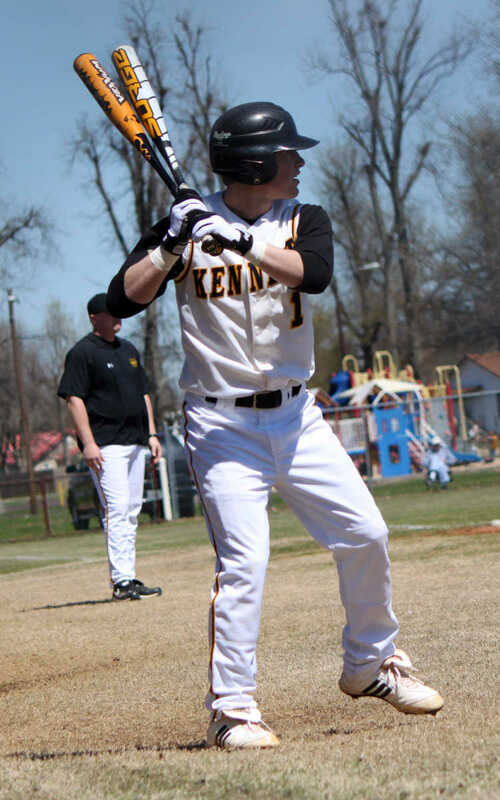 Kennett's Andy Lack with two bats on deck. 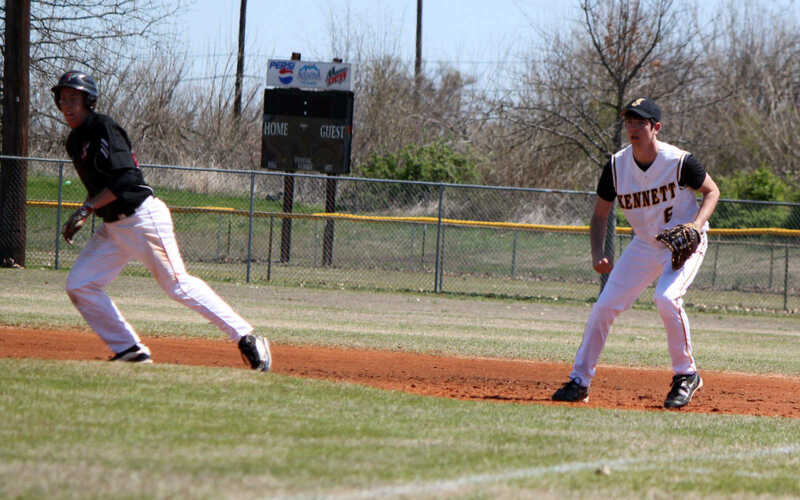 Kennett's Tyson Campbell positions himself to make a defense play as a Jackson runner advances to second. 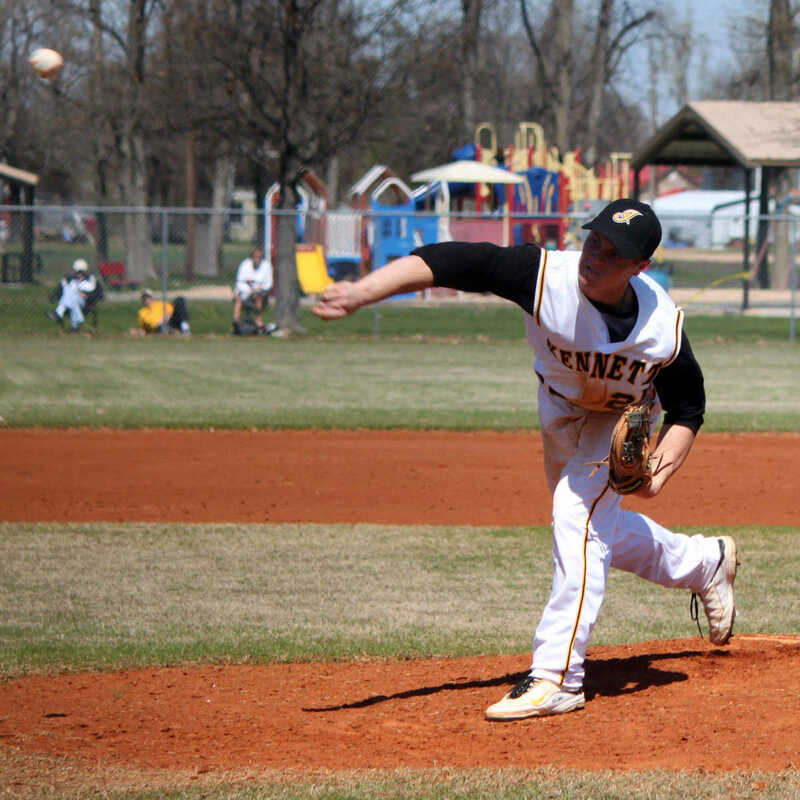 Kennett's Cameron Wallace delivers a pitch to home plate. 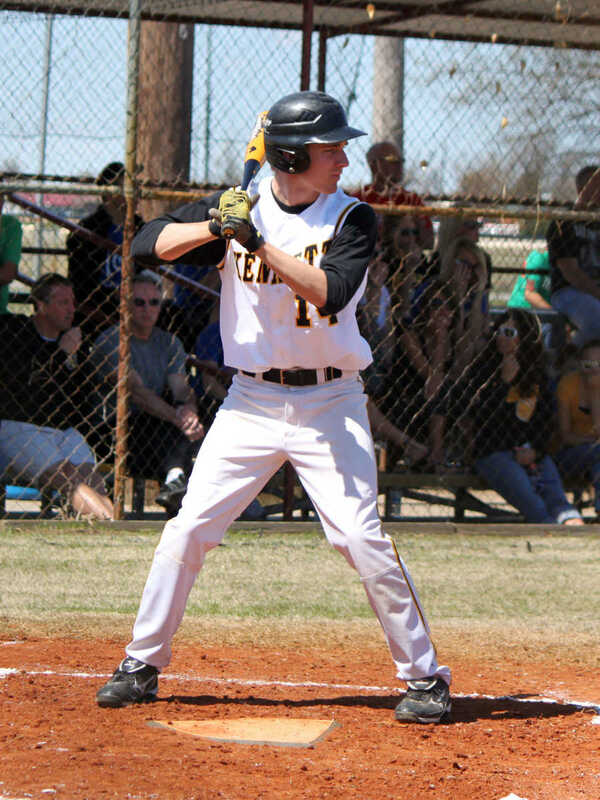 Kennett's Adam Grantham delivers a pitch to the plate. The Kennett junior varsity watches the Kennett varsity play Jackson. 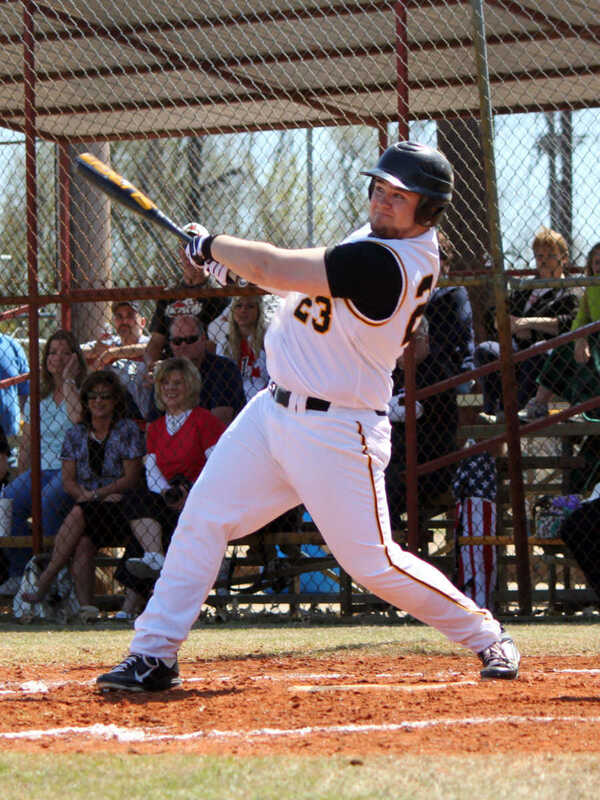 Kennett's Adam Grantham prepares to take a swing.